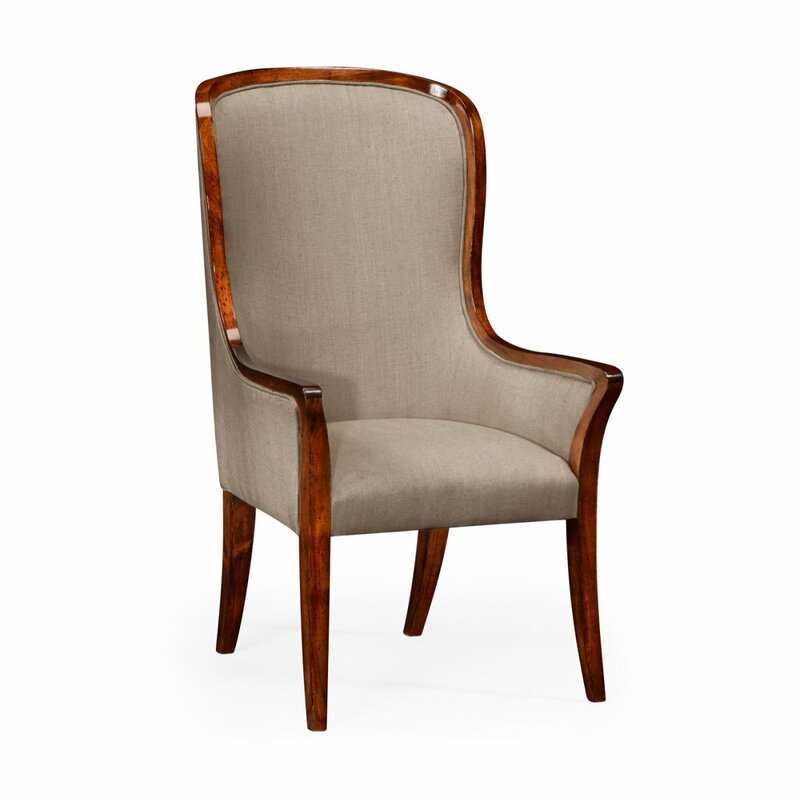 This stylish Walnut Jonathan Charles High Back Upholstered Dining Armchair allows you to dine and relax in complete style and comfort. 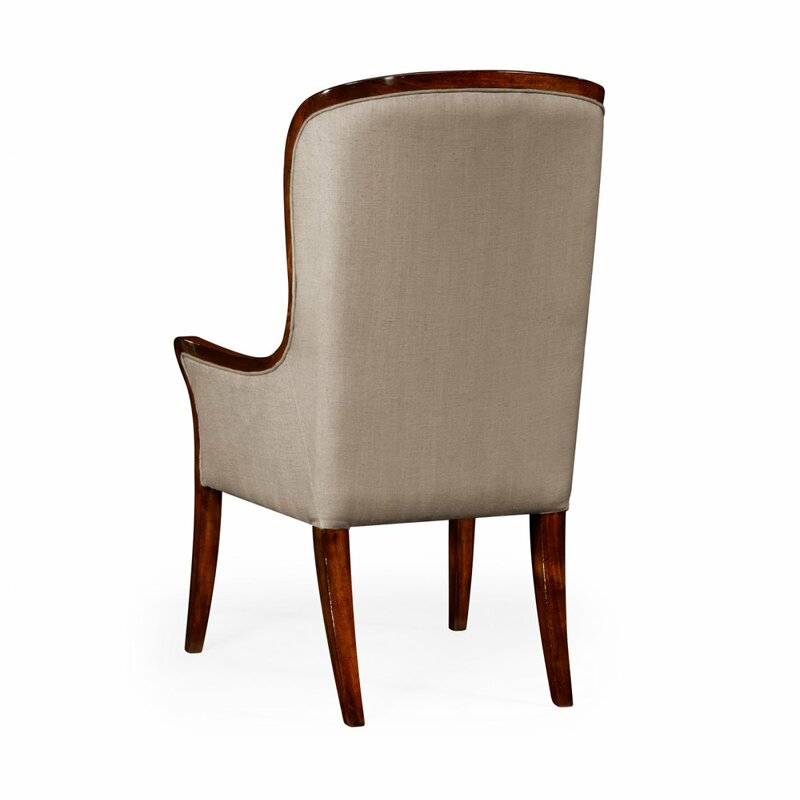 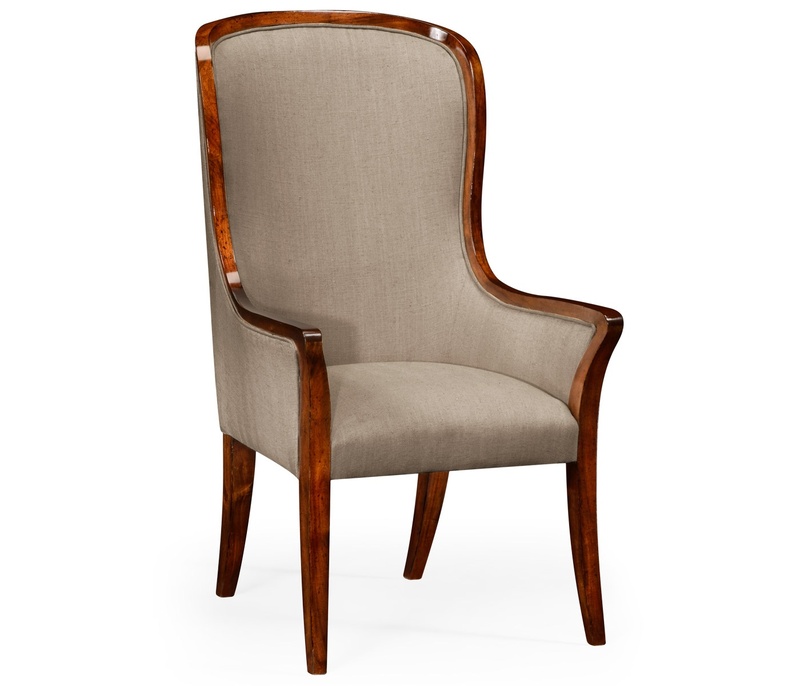 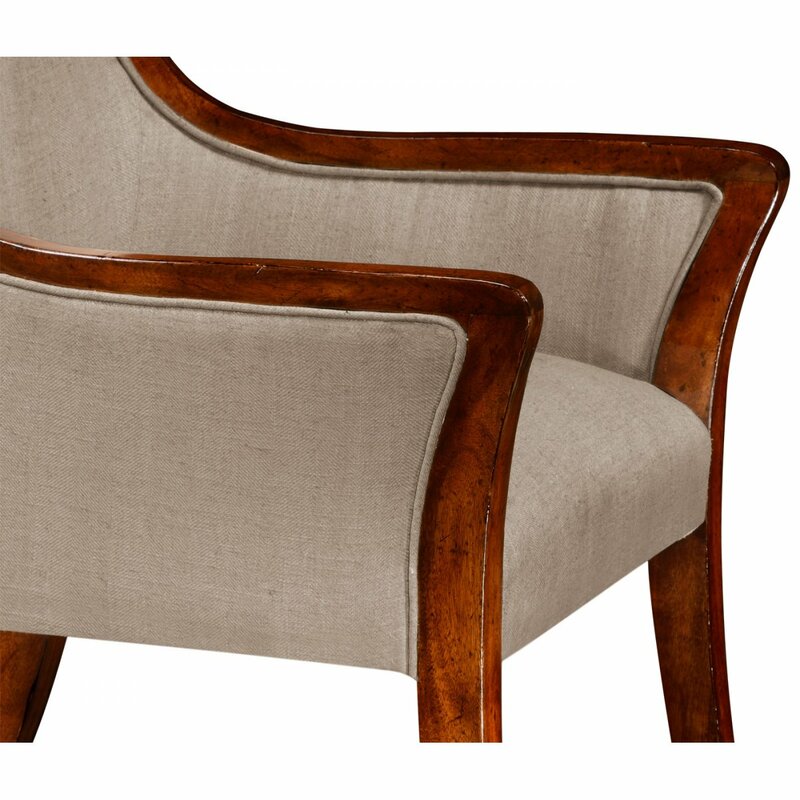 Elegant Jonathan Charles Upholstered Armchair, loosely based on a 19th-century Porter's chair with a high upholstered curved back and sweeping arms with further upholstered panels, sabre legs to front and back. 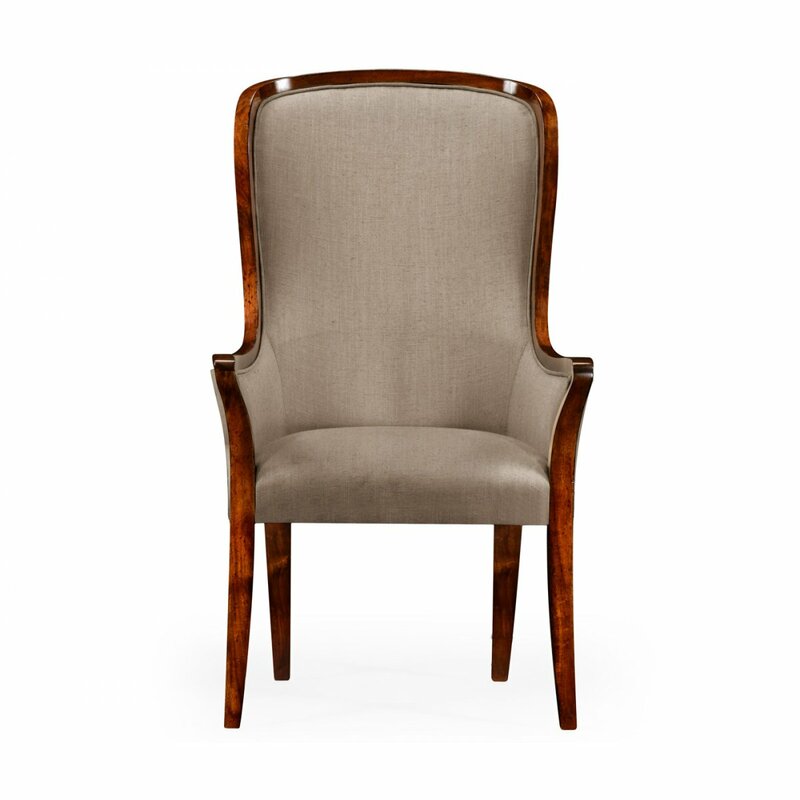 The original of c.1880. 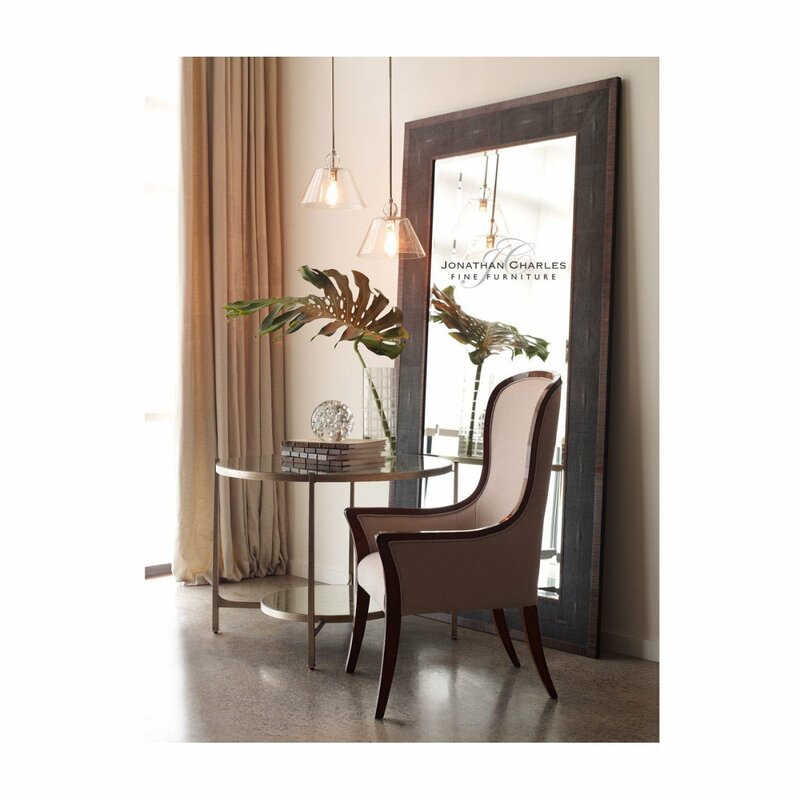 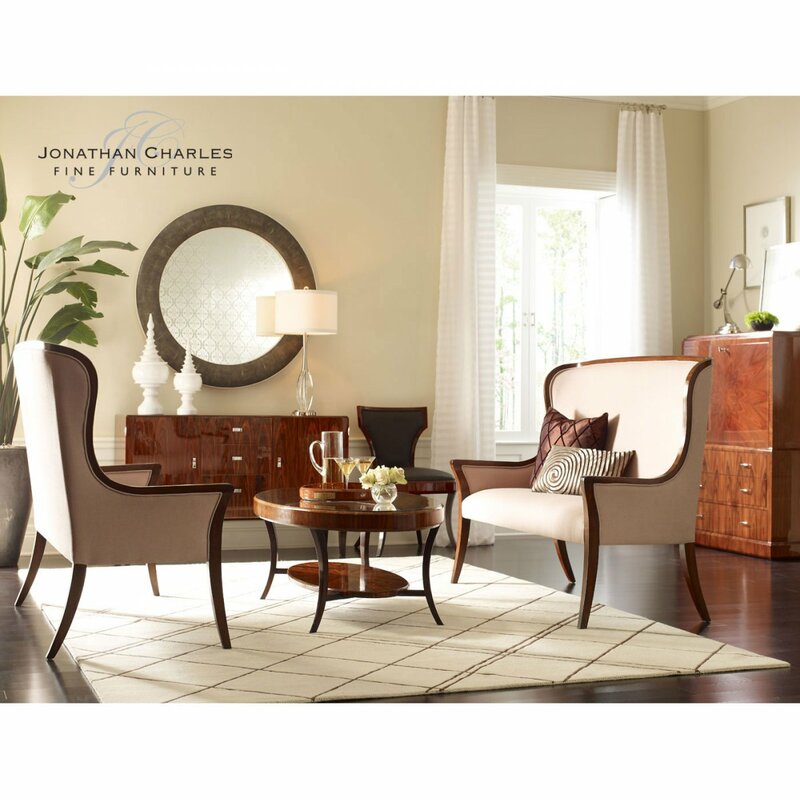 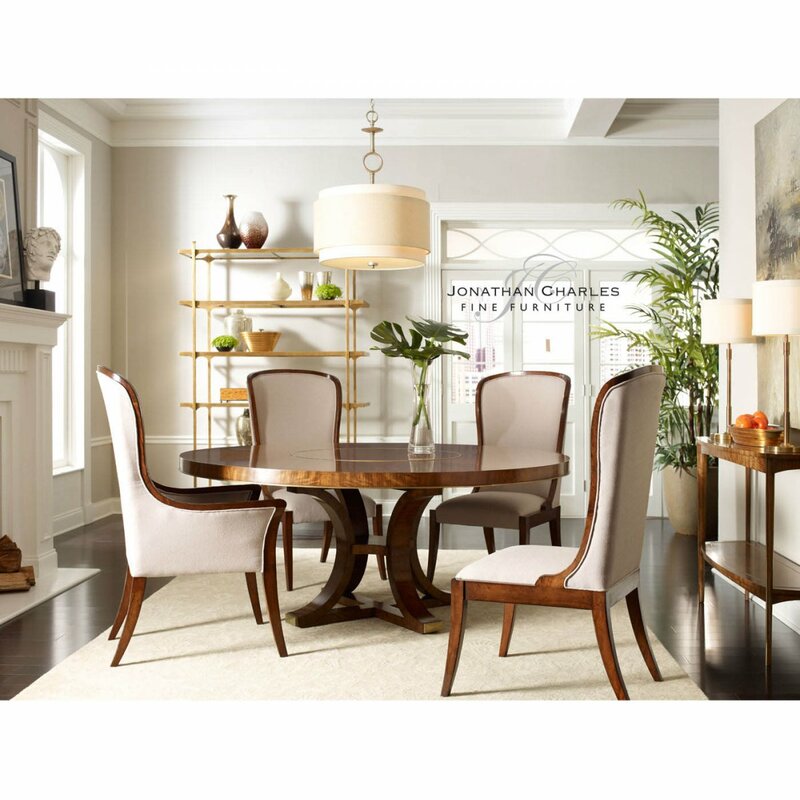 Coordinate with other furnishings from the Jonathan Charles dining furniture, Windsor collection.